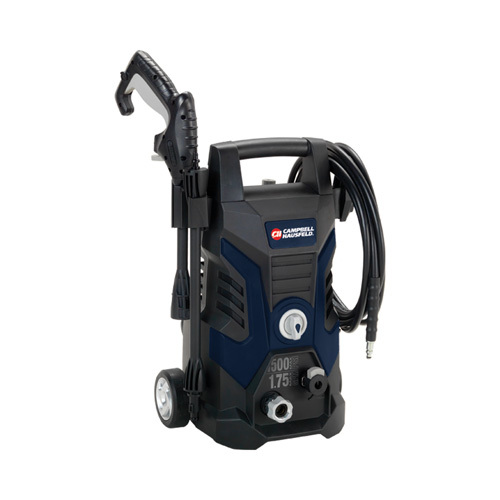 The Campbell Hausfeld 1,500 PSI EASY CONNECT™ electric pressure washer (PW150100) makes fast and easy work of home and light-duty cleaning projects. This portable and reliable unit is ideal for power washing siding, decks, automobiles and more. It’s also lightweight, compact and can be stored away easily. EASYCONNECT™ tight connection points make it easy to change accessories and switch between applications. Includes 20-foot high-pressure hose, gun, multiple nozzles and onboard storage for accessories and hose. 1,500 Max PSI, 1.75 max GPM. Our commitment to serving customers began in 1836 and continues today.